George B. Johnson, Jr., son of Mr. and Mrs. G.B. Johnson, Graham, attended Graham Hgh. 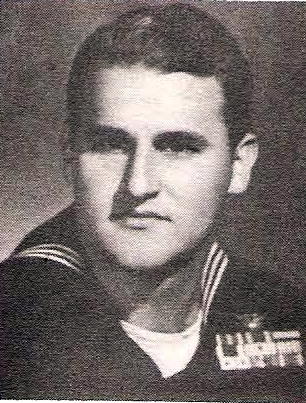 Entered Navy, 1941, trained in San Diego. Served in Midway, Solomons, D.E. Indies, Phil, Okinawa, Borneo, Formosa and China Patrol. Awarded DFC, Air Medal, Pres. Unit Cit., Admirals Cit., GCM and APO with 7 Battle Stars.